Private colleges and universities do not receive direct funding from local governments. As a result, they tend to charge higher tuition fees than their public counterparts. However, many private institutions have a prestigious academic history, and most offer small class sizes that provide students individual attention from their instructors. The University of Tulsa, one of the top universities in Oklahoma, is a private not-for-profit university. Prospective students can consider enrolling in the bachelor of science in nursing (BSN) degree program at the College of Health Sciences. University of Tulsa also offers master’s degree programs for graduate nursing students. Oklahoma Baptist University, situated in the heart of Shawnee, is another private Oklahoma university which administers a prelicensure BSN program. Oklahoma City University's Kramer School of Nursing offers an even wider range of popular programs. These include a prelicensure BSN program with over 100 graduates annually, an RN-to-BSN transition program, master’s degrees, and a doctor of nursing practice (DNP) program. 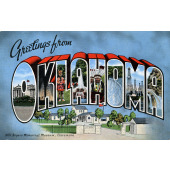 Oklahoma has a broad array of nursing employers throughout the state. These include public entities like the University of Oklahoma and the State of Oklahoma, as well as private entities like CVS Health and MedExpress. Nursing compensation depends heavily upon role and, therefore, length of study. Oklahoma’s nursing assistants and licensed practical nurses, who only need a certificate to begin practice, earn $21,000 and $37,000 respectively per year. Registered nurses with an associate’s or bachelor’s degree earn an average of $57,000 annually. Specialists with a master’s degree earn substantially more; for example, Oklahoma’s nurse anesthetists take home a median annual salary of $165,000. For those interested in pursuing their nursing education at one of Oklahoma’s private institutions, we’ve listed below the best private nursing schools in the state.